The best laid plans start with you—excellence is built in. You bring the competitive edge to your practice by staying abreast of new infrastructure technologies, now differentiate your firm further by increasing your understanding of the practical requirements of the Tier Classification System. 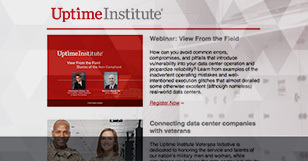 Uptime Institute’s Tier Classification System for data centers is approaching the two decade mark. Since its creation in the mid-1990s, the system has evolved from a shared industry terminology into the global standard for third-party validation of data center critical infrastructure. Tiers is not one size fits all, but was created to consistently describe the site-level infrastructure required to sustain data center operations. 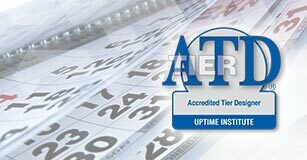 Every subsystem and system must be consistently deployed with the same site uptime objective to satisfy the distinctive Tier requirements—Tier rating is based on the lowest rated subsystem. The most critical decision-making perspective owners and designers must consider, when making inevitable tradeoffs, is what effect does the decision have on the life-cycle integrated operation of the Information Technology (IT) environment in the computer room. In an increasingly digital 24x7 economy, high availability is often not an option but an expectation. Uptime Institute will help you respond to the industry call for Tier Certified projects and deliver Tier concepts on-time and on-budget. Contact your regional representative today or email us with questions. Every data center management choice produces a result. See two contrasting scenarios play out over time: keeping comatose and underutilized servers running, or beginning an audit and decommissioning initiative today. Learn how you can save millions and be a real world success story.